On Friday 5th April, BBDO Indonesia hosted its third ‘Heels of Steel’ event with Rohini Behl, Fonterra Indonesia’s Technical Marketing Advisor, as the keynote speaker. 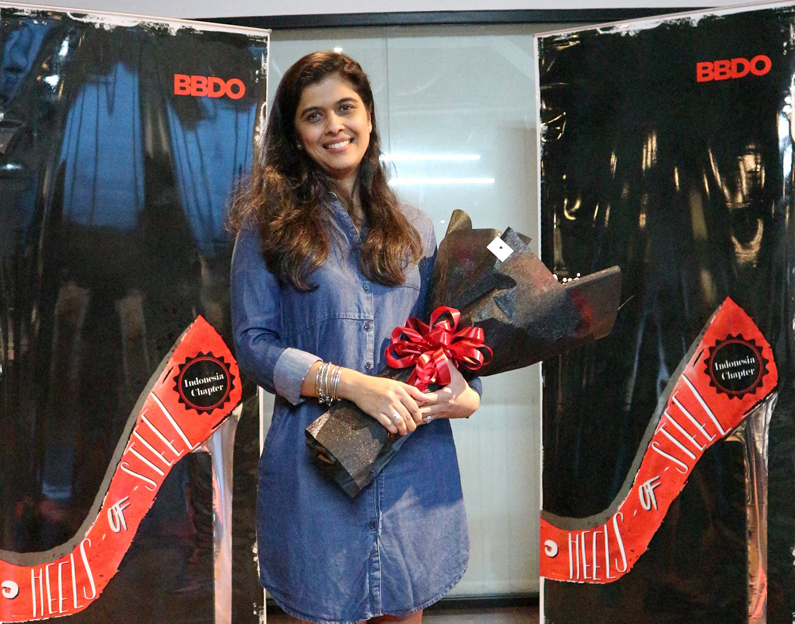 During her visit to BBDO Indonesia, Behl (pictured) shared her 20-year career experience with the team, from working in India to United Kingdom to Indonesia. Her experience includes roles as a marketer, researcher and business leader for numerous brands and industries such as cosmetics, fragrances, hair, skin care & cleansing and dairy. Behl’s passion as a marketer is to help brands achieve maximum exposure and penetration in the market and be recognised as industry leaders in their respective categories. ‘Heels of Steel’ was first launched in 2017 in Malaysia, which involved events aimed to inspire and accelerate the progress of women employees in the workplace. Since then, it has grown into a Southeast Asia initiative. Participating offices now include Indonesia, Singapore, Vietnam and BBDO Guerrero in the Philippines. It is BBDO’s ambition to empower, motivate and strengthen our people. “We are very delighted and proud to have Rohini in our office as our third speaker for Heels of Steel,” said BBDO Indonesia Managing Director, Talha Bin Hisaam. “By having her share her own career journey with our BBDO Indonesia family, we got a closer look and understanding of how her career flourished to where she is today. This is what has truly inspired us all and helped us to see that there is no such thing as impossible when it comes to attaining success in the workplace, regardless of gender.” Talha concluded. The ‘Heels of Steel’ event at the Indonesia office first launched by keynote speaker, P&G Singapore’s Associate Director, Daphne Kuah, in June 2018. Followed by the second event with keynote speaker, Diageo Indonesia’s Head of Brands, Adrienne Gamie, in August 2018.